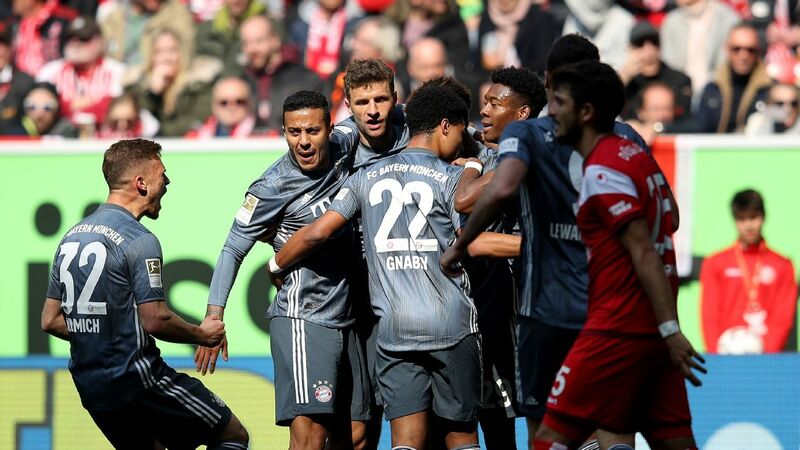 Bayern Munich celebrate with Kingsley Coman. Christian Pulisic was shown a yellow card in Dortmund's loss to Fortuna. American striker Josh Sargent, 18, scored on his first touch in the Bundesliga -- two minutes into his professional club debut -- with a 78th-minute header that helped Werder Bremen beat visiting Fortuna Duesseldorf 3-1 on Friday.